In the West death may be our nightly entertainment but we are further removed from death than ever before. The medical and professional outsourcing of death means that death has become more invisible in the West. 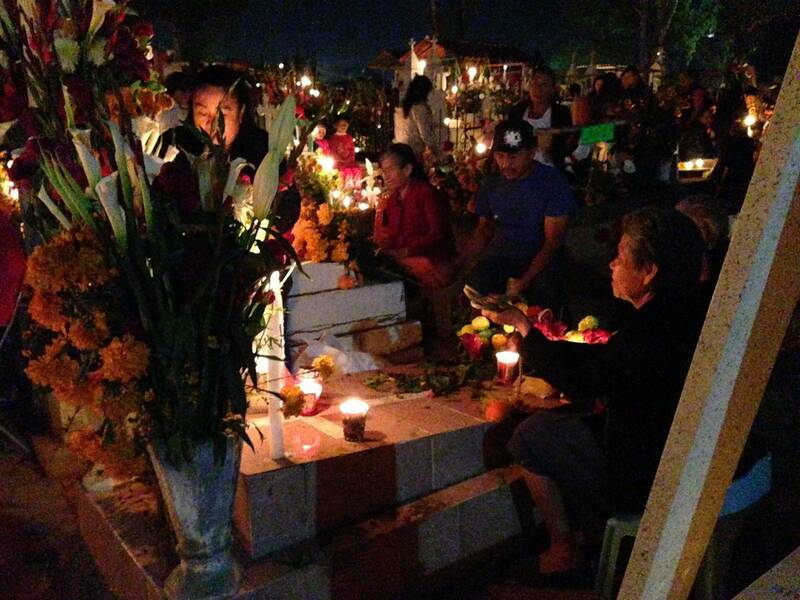 Our own discomfort with death means we are very interested in Day of the Dead rituals. 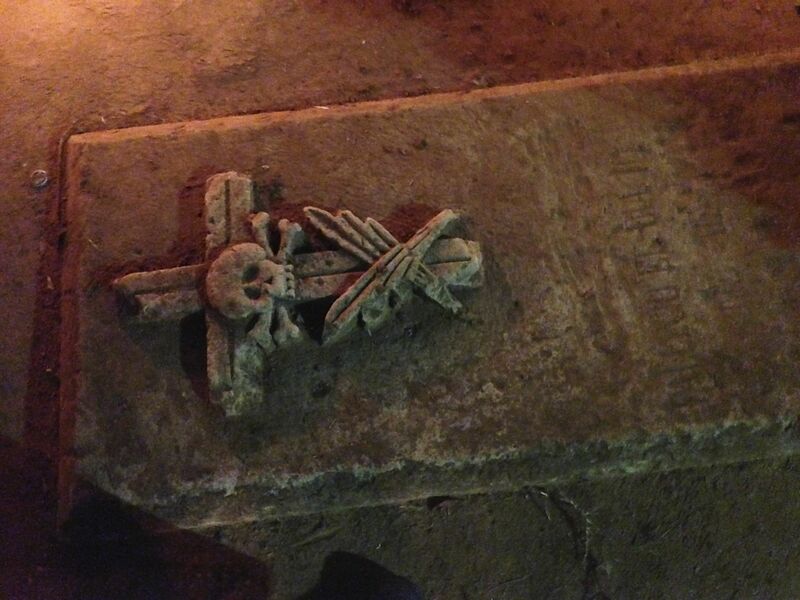 In our journey to Oaxaca we looked for a different attitude towards death. Did we find it? We did find a lighter, more humorous relationship to death in the popular arts and some of the altar decorations. However we found many other things: a respectful and lively exchange between the living and the dead, a challenge to the way we think about homes for the dead, a provocation to ways in which the living remember the dead and perhaps live with an awareness of death. Sarah does not feel she has been sold a Romantic version of a Mexican way of death, but rather seen the many ways in which we can bring death into life and the ways in which the living fulfil a responsibility towards the dead. The experience was so rich that she no longer worries about whether this is an “invented tradition”. 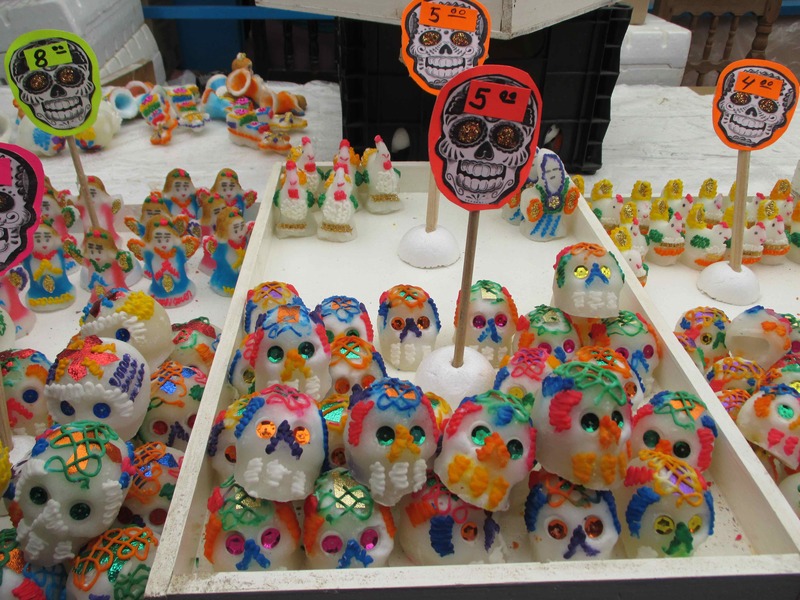 Death is very alive in the Mexican cultural imagination. Digby liked the idea of a communal national celebration where the dead are formally remembered by the living. We currently might light a candle for an anniversary, lay a wreath on nominated memorial events, or say a prayer. It would be a completely different event than Anzac Day. Visiting cemeteries is not all that common in Australia, even less so now as ashes are often scattered. Cemeteries seem sombre lonely places. We wouldn’t think of having a party at the graveside. We didn’t ever get a straight answer to whether people really experienced the return of the spirits in Day of the Dead celebrations. 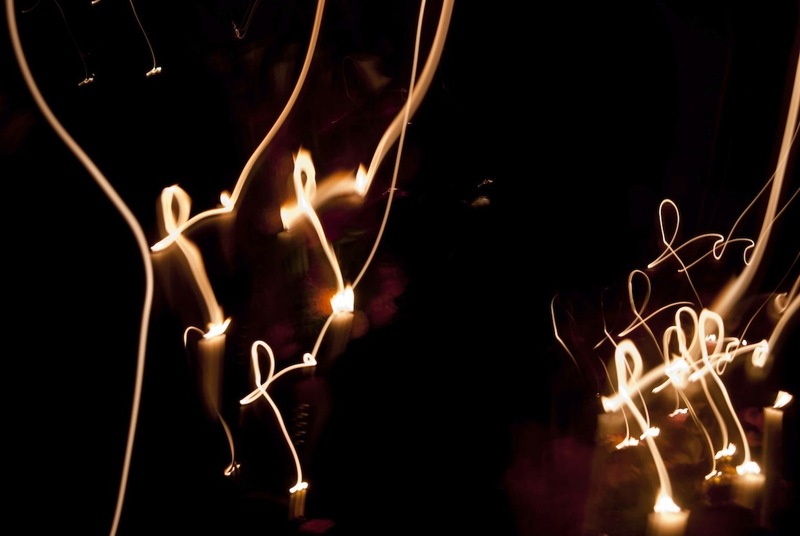 We wonder whether we can experience the spirits of the dead through acts of memory. We were both profoundly affected by our night visits to the cemeteries and are still thinking about what our journey to Mexico means. We saw graves that were mounds of dirt with simple crosses or markers and elaborate houses for the dead. Kristin Norget describes the grave as a home for both the dead and the living. At Day of the Dead when families picnic in the cemetery and hold vigils by the graves, she suggests the living are both hosts and guests of the dead in this house of the dead. She suggests the grave is a familiar and intimate place, a place of memory. 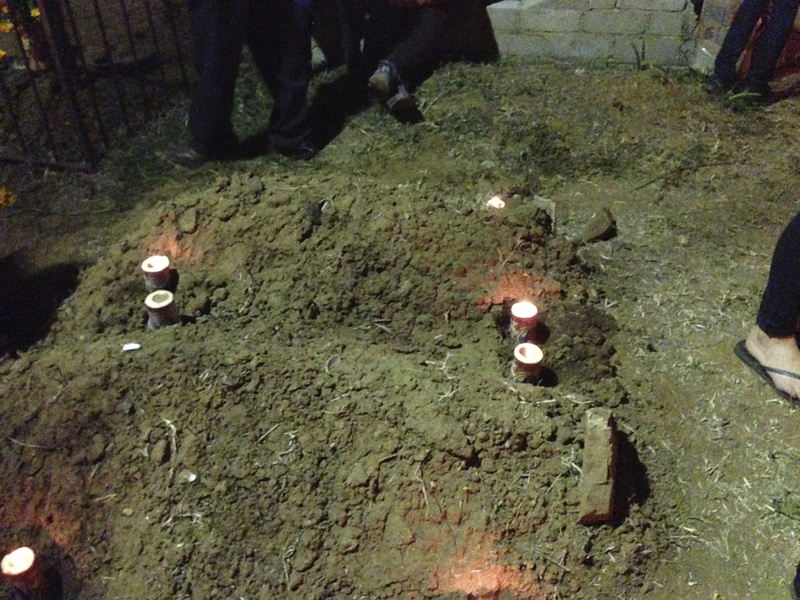 In Oaxaco grieving and remembering are not solitary acts. Is fear of death in our own culture partly the fear of disappearing from the minds of the living? 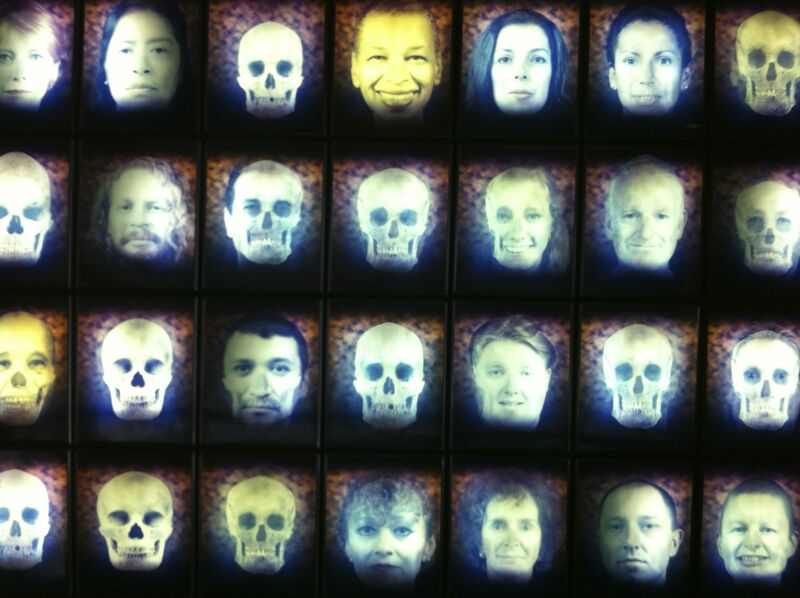 Would a collective act of remembering such as Day of the Dead make us less afraid of dying?